Help support Ridgewood Retail Stores! 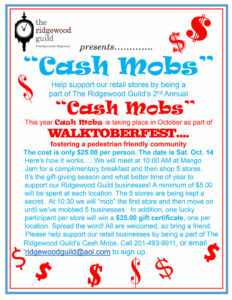 Join us next year at The Ridgewood Guild’s 3rd Annual Cash Mobs. Details to follow next Fall. At 10:30am we’ll go to the first store and shop! All you need to do is spend a minimum of $5 at each location ($25 total). As a bonus, we’ll be awarding 1 lucky participant per store a $50 gift certificate! So, come join the fun and spread the word. Everyone is welcome, you don’t have to be a member, so bring a friend, and support our downtown Ridgewood retailers! 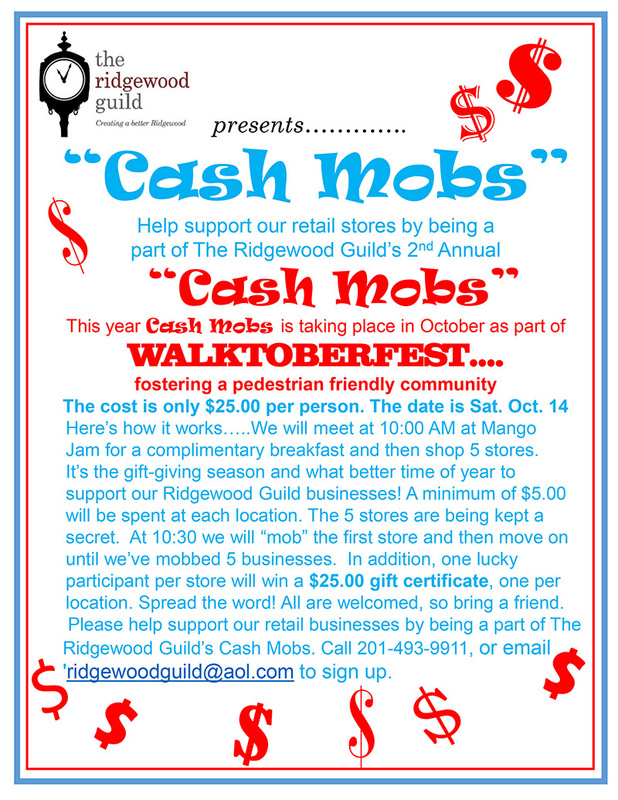 Email ridgewoodguild@aol.com or call 201-493-9911 to let us know if you’ll be joining! « Stay Local… Shop Small!